Guaranteed seals & destroys odor. 7 day odor-free home. 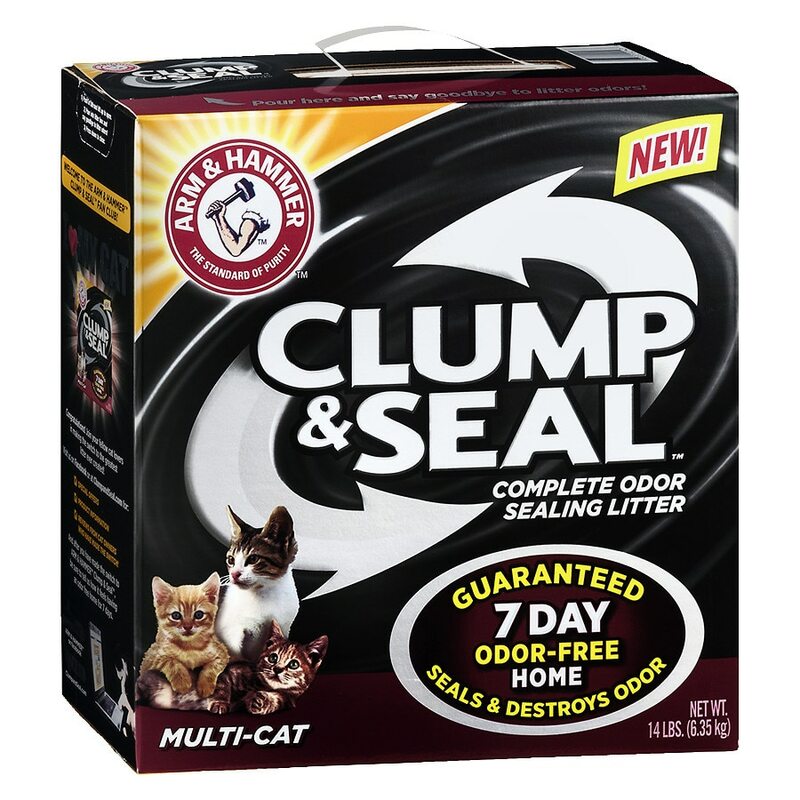 This new kind of cat litter first seals, and then destroys odors. Extra strength formula for multi-cat homes. No crumbly clumps. Ultra low dust. Low tracking. © 2013 Church & Dwight Co. Inc. Note: Please wash hands thoroughly after handling used cat litter. We want to remind pregnant women and those with suppressed immune systems that a parasite sometimes found in cat feces can cause toxoplasmosis.